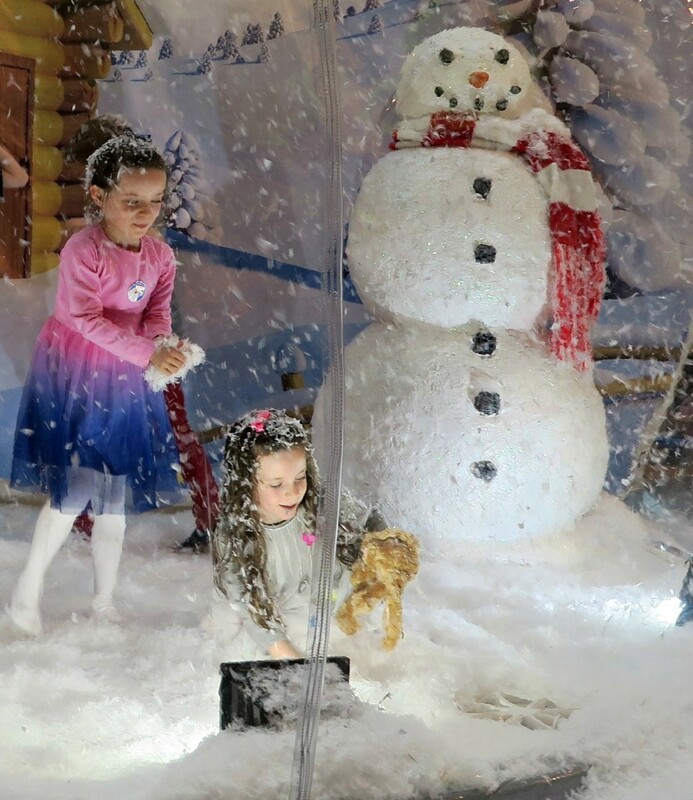 The snow globe is coming back to Fareham Shopping Centre! Last weekend we got ourselves all set up and ready to leave the house nice and early, we had planned to visit Father Christmas and had built the kids up to it! 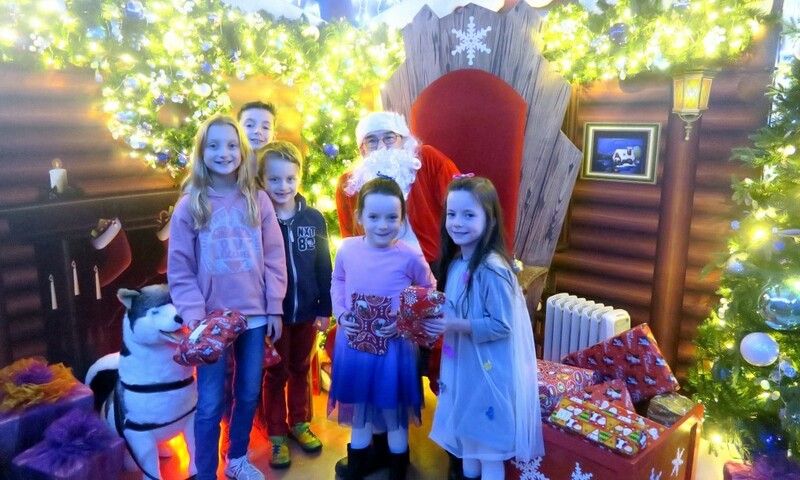 We always do an annual Father Christmas visit and this year we had decided to visit Keydell Nurseries, they had a lovely winter wonderland walk and Santa’s Grotto. We arrived not long after it had opened, it was busy but not too busy in the car park. 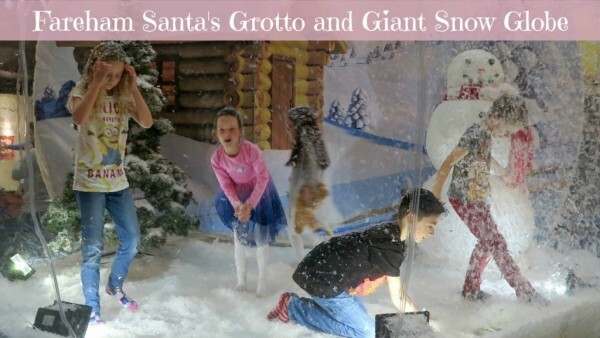 This year they had decided to make you book on the day, you have to turn up and book a place to see Santa in his grotto. This can be at any point in the morning, so would involve you hanging around waiting for your time slot. We were prepared to do this as we had heard nice things about keydell. Well we were told after 40 minutes of them being open they had run out of slots to see Father Christmas, we had to come back 2 hours later to book for an afternoon slot. absolutely gutted, the children were so disappointed that they were not going to see Father Christmas. I refused to spend any money at Keydell and was not going to hang around for hours in their coffee shop for a badly organised event and leaving the children so upset. We promptly left. 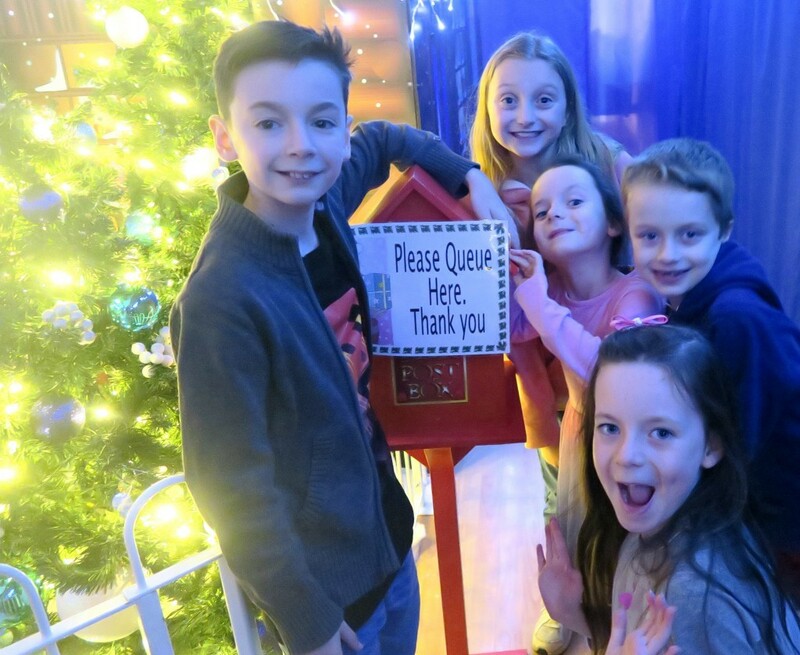 So then we needed to find a Father Christmas, we had promised the kids, everywhere was fully booked so we went to our local shopping centre, Fareham. 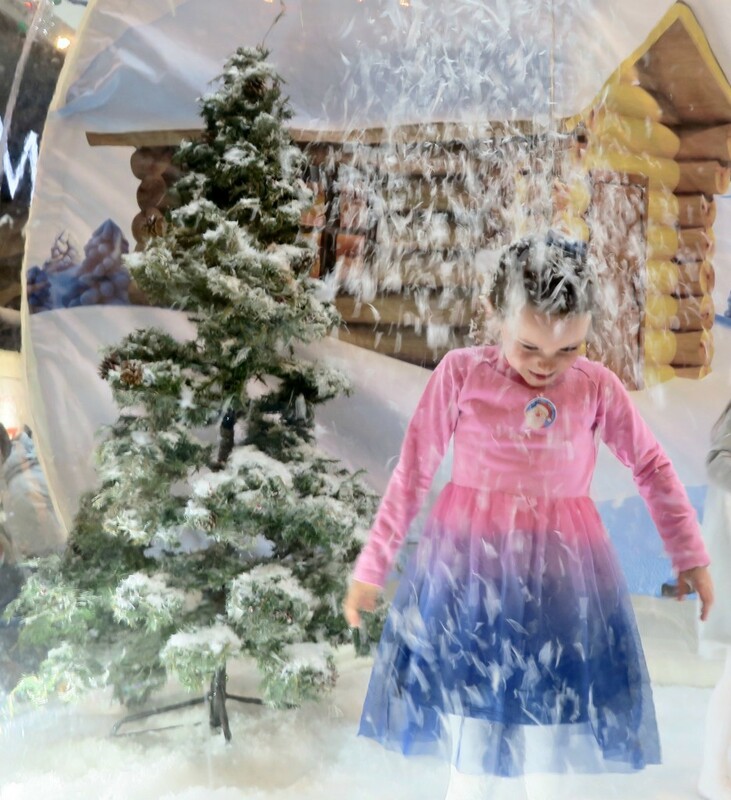 Fareham has a Santa’s grotto where you can turn up, pay £5 and every child receives a gift. All proceeds will go to the Hampshire East County Girlguides who will be running Santa’s Grotto. So not only did the children get to see him, they are supporting a community group. 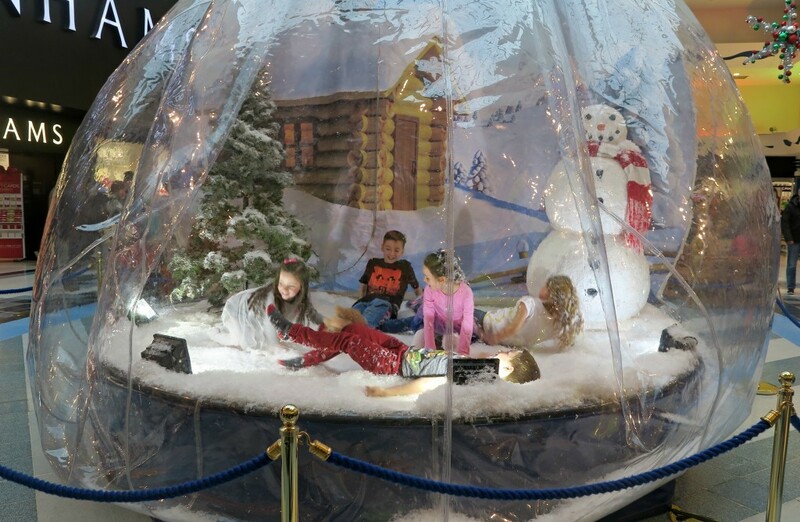 We managed to save the day by finding him, but Fareham Shopping Centre managed to make the day really special too…..they had a giant snow globe in the shopping centre! 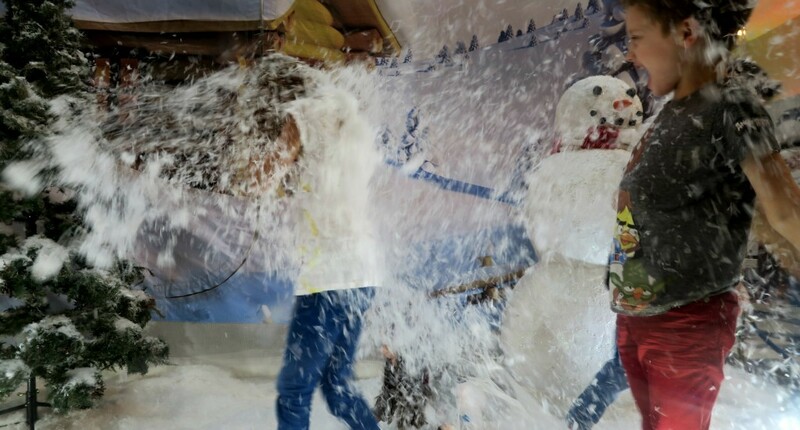 It wasn’t quite blown up in this photo, but as they were inside it blew up larger and they were quickly covered in faux snow! 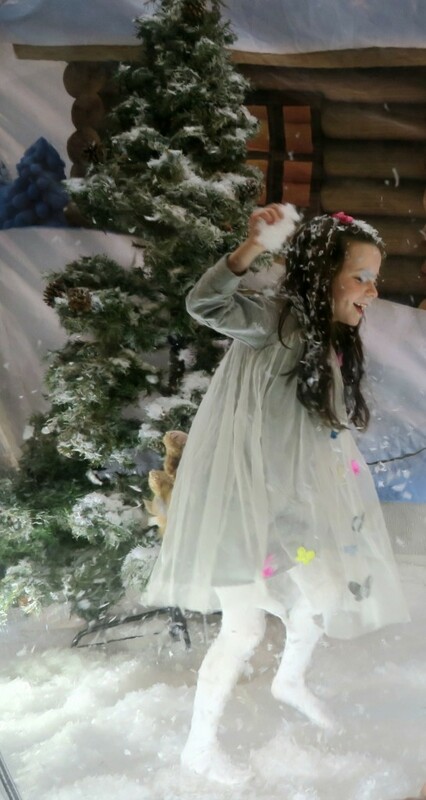 I have never seen anything like it before but it was there to raise money for SWAN UK charity, and for a donation you can go inside this giant snow globe and have a massive snow ball fight!! Thank you Fareham Shopping Centre for saving the day, one of the kids said ‘I’ve had so much fun, this is much better than Keydell’ PHEW!! Although as I came to write this post, I saw that it wasn’t due to come to the shopping centre again. It is such a shame as I think they would do super well with visitors if it was there on the week leading up to Christmas whilst the kids were off school.